These ladies have a need for speed, and a lust for blowing enemies to smithereens. 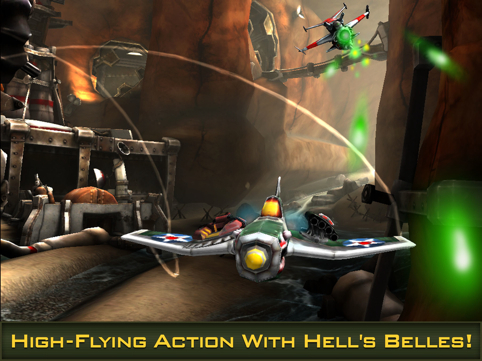 If you enjoy aerial combat games and prefer downloading stuff for free, play Bombshells: Hell's Belles, the newest iOS and Android title from Glu. Set within the same universe as the hugely successful Gun Bros, this intense third-person shooter stars unflappable femme fatales who take to the skies to thwart the evil schemes of their arch nemesis, the dastardly T.O.O.L. organization. You'll need to grind and/or splurge via in-app purchase to acquire the best gear, but by and large, the game satisfies. Now if only multiplayer would work. Each bite-sized level sends these death-defying ladies on missions to destroy objects/enemies while at the same time protecting their allies. To that end, the key to success (and playing the game in general) involves having the right pieces of equipment for the job. To that end, the developers broke planes, missiles and guns into different element types, and you'll need to match the correct symbols to embark upon these missions. This is where the grinding aspect comes into play, since you'll need to amass enough virtual loot to afford the coolest items, like the Frost Hellcat plane (50,000), Big Belle cannon (60,000) and Lazy Giant Missile (15,000). The fact that Hell's Belles comes with two forms of currency, one being tougher to earn than the other, impacts your ability to quickly unlock everything unless you open your wallet. Thankfully, Glu doesn't beat you over the head with this setup, and offers various pieces of equipment (not necessarily the most powerful) at somewhat affordable prices, leaving you to enjoy some good old-fashioned dogfighting. This is by far Hell's Belle's coolest feature, as you tilt the device to steer the plane, then tap virtual buttons to brake, boost, fire the plane's guns and missiles. Using some of the guns is especially cool, as the camera zooms in, giving you a better read on opponents. What's more, swiping left or right lets you dodge missiles. 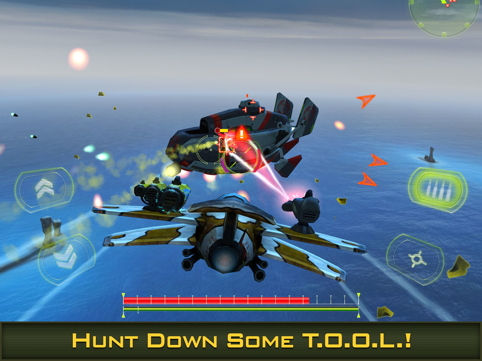 By and large, it's a fun experience, with big explosions, constant chatter (you'll eventually grow tired of hearing "what a tool") and rival planes that only grow progressively more difficult the further you progress; there's an option to bring a wingman (perhaps it's best to say wing person) into battle, but it'll cost you. The controls are fairly easy to grasp as well, with tight steering that always feels like you're in complete control. Meanwhile, the visuals get the job done. The graphics won't win an award, but for the most part, the detailed planes, military base and various structures look great, regardless of which platform you support. Our biggest complaint, next to replaying the same old missions for cash, has to do with multiplayer. Hell's Belle's supports online head-to-head against other players, but we've yet to experience a match because it keeps timing out. At this point, we don't know if this is because no one's waiting to join, or if there's a technical problem. It's a shame, because there's a possibility that multiplayer could boost our review score. For now, based on the single-player, Bombshells: Hells Belles succeeds in delivering a unique and challenging combat experience, filled with a variety of planes and weapons that'll keep you blasting enemies well into the weekend. Hopefully, we get to go a few rounds with the multiplayer, but regardless, it's worth a look. 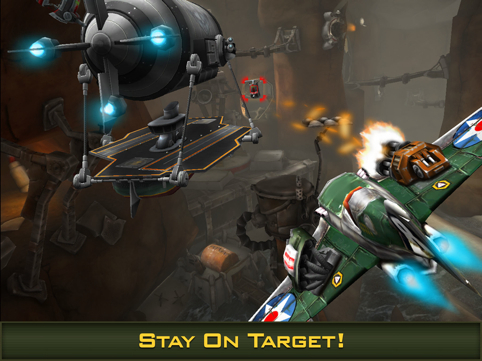 What's Hot: Large assortment of weapons and planes, explosive dogfighting missions, excellent tilt controls, simple but pretty graphics, free-to-play. What's Not: Grinding to afford gear for the next mission, multiplayer lobby is empty for now.